The Heck With High Gas Prices…. I write this to express my gratitude. I have always felt ‘less than’… something was missing. At a very young age, I turned to drugs to fill my void. I was a dirty junkie who could care less about myself. The statement ‘the body is a temple’ made no sense to me. I don’t want to get explicated but, in order for someone to understand my bottom, I have to share it. I had horrible hardships in my life. Some were a direct consequence of my drug use; others were because I was a victim. I would bruise my body injecting drugs and I would sleep around to obtain the next hit. I was raped several times, which caused me to lose faith in everyone and everything. I didn’t understand how there could be any good in the world if such horrible things could happen. I was always looking at things negatively. I was sick and tired of being sick and tired. I was at the end of the road. It was either get clean and change, or die. My clean date is May 11th 2010. When I surrendered my addiction, I started to look for a higher power. This was hard for me at first because my views were so different then everyone else’s’. I felt like no one understood my beliefs. I started to read about the Craft, first out of curiosity. The more I learned about Wiccan ways, the more I learned about myself. I started to understand the saying my body is ‘a temple’. I started to see all the good in the universe. I started to meditate and became driven to better myself. Today, I do the next right thing because that is the right thing to do. Wicca has brought hope into my life. Even though I am new to living this path, I feel like I found my home. The feeling I received when I got clean is very similar to finding my higher power. I love myself today. I am a loyal girlfriend. I am a respectable daughter. I am a good friend. I am a witch. When I started to dedicate my life to the Craft instead of just reading about it, I was nervous about what others would think. This is a character defect of mine. I am a people pleaser. Once again I was thinking about what others wanted instead of what I wanted. I finally came to the decision that a Wiccan was what I wanted to be and I started to take steps to become one. I began to read books in front of my family. As I continued to learn, I also educated them about Wicca. When they finally got over the whole, “why are you reading that devil worshipping stuff, ” and realized what Wicca really meant, they were accepting. This allowed me to practice the craft without feeling like I was lying to the world. When I finally shared it with my family and my close friends, it opened new opportunities. I started to search passionately for guidance. I shared with a close friend my newfound life and found out that she too follows the same path. I started e-mailing other people on this website to start building a support network. I want to share a little bit more about how my family’s perspective on Wicca. At first, they were completely clueless about anything. They were afraid, thinking that I was dabbing in evil things. Then they believed that I was going to put spells on the family and try to make them turn to toads or something. The more they saw how happy and dedicated I was though, the more accepting they became. I do not know much ‘about’ Wicca, but I ‘feel’ Wicca. (If that makes sense) I understand there are fundamentals, however I also believe it’s up to one ’s self to figure it out. I believe in practicing on your own, even though the joy of sharing it with someone seems so powerful. I am writing this article not only to show my gratitude towards my newfound path but also to give a “newcomer’s” view. I am sharing my experience, strength, and hope to maybe touch someone else who is struggling. Maybe I will find someone who can help me. All I know is I had an overwhelming desire to write this article, and usually that means something. Since I decided to follow the Craft I have a new perspective on life. I find gratitude in the small things. I have a renewed sense of the universe. Nature looks greener to me. Things that were once puzzling now make sense. The desire to find myself has always been a struggle for me, even before I picked up drugs. By following this path, by collecting knowledge, and by practicing, I am finding myself. I could continue on and on about how my life has changed since I made the decision to become a witch, but I know as you are reading this you are probably looking back on your life and feeling the same way. Our stories might be very different, but the feelings are the same. I believe there are many paths to the same destination. Everyone can follow a different path and have a different story, but the universe brings us together for a reason. And that is powerful stuff. Blessed be. Let the Goddess and God be with you. There are lots of books and resources on psychic abilities. There are many different guides to expand your skills and increase your inner sight. However, many of them neglect a most basic aspect: when NOT to use it! That’s right… not how to see more clearly but how to not see at all. There are times when being able to see is a great gift, but where do you draw the line? How do you keep yourself from becoming the spiritual equivalent of a peeping tom? As a tarot reader, dream walker, and clairvoyant, this is a line I have had to learn to walk very carefully but it worries me that so few places cover this fundamental subject. So I have compiled a list of some basic guidelines for those who want to learn to use their psychic gifts to the fullest. 1) Be specific! When you are trying to see for someone, be very specific in what you ask for. Don’t just aim to see their lives in general, but; instead make sure you are narrowing your focus on the particular issue and only on that issue. If you ask for guidance before you use your gifts, then ask Spirit to show you only what you need to answer the question. 2) Never do a third party reading. In other words, never read for someone regarding someone else. Generally the motives for asking you to pry into the other person’s life are far from pure. If you do not have the consent of the other person, then using your gifts to see into their lives is an invasion of privacy. I do however have two exceptions to this rule: First, if it is parents asking about their own minor child. As the guardian for the child, they have the right to ask. Secondly, relationship readings… and even then I am very careful to ask to see only things that directly impact the client. 3) Find a test subject! I get a lot of people asking me how they are supposed to practice if they can’t “look in” on anyone without their permission. Easy. Find friends who don’t mind you practicing on them… or join an online/local group and ask for volunteers. You will be surprised how many people will be happy to let your practice on them. 4) If the subject makes you uncomfortable, don’t look into it. If you would feel wrong discussing the situation in person, then it definitely is not proper to use your gifts to see into the situation from afar. 5) Never use your gifts to see purely for curiosity’s sake. These gifts come with responsibilities; too many people treat them as if they are some sort of game. You have the very real potential to cause a lot of harm to a person by seeing into things that are none of your business. 6) Never use your gifts to see into the lives of others with the intention of using that information against them in any way – even if it is just to “help”. The road to hell is paved with good intentions. 7) Be wary of those who would use you. There are people out there lacking a clear-cut sense of ethics who would love to get their hands on someone with the ability to see. This is just a basic set of guidelines. You will have to discover your own more personal rules as you go along. There is another set of considerations that also must be taken into account. What happens when you do see more that you need to? What happens when something comes up in a reading that you are not sure should be brought into the light of day? As an example, I once did a reading for someone on a relationship problem. Everything went along just swimmingly until I looked into where their issues were coming from. Then I got more information than I needed, and a lot more information than I wanted. It was a tarot reading and the cards screamed of an abusive childhood and more traumas than I knew how to deal with. I didn’t know what to do. Do I mention what I was seeing? Do I risk bringing up something so painful and potentially damaging? The trauma is at the heart of their relationship problem, and they are asking specifically about the cause of the problem… do I have the right to NOT tell them part of their answer? Do I have the right to bring that up at all? In the end, I very carefully spoke of what I was seeing in the most general terms I could think of. I felt that I needed to tell them something, to at least point in the general direction of their childhood but I didn’t want to go too far into it for fear of opening wounds. So I sort of glossed over it and hoped they would pick up the hint. Not perhaps the best solution but the best I had at a moment’s notice. As it happens they did pick up the hint – and gave me permission to gently tell them in more detail what I saw. I hadn’t really thought of it before that event – but during a reading we are often put into the position of counselor. This person has come to you for guidance, often with very personal problems and you need to treat it as such. The problem is that we ARE NOT THERAPISTS. Few people who go into doing readings of whatever type for people are also licensed counselors, and when something truly painful appears in what we see, often referring them to someone who is, is the best that we can do. Yet we deal with much the same issues, and often we end up put into that position whether we like it or not. So walk carefully, and err on the side of caution. Just by the act of looking into that person’s life, we are altering it. Treat your gifts with the respect and caution that they deserve. Posted on June 3, 2012 by ladyoftheabyssPosted in ArticlesTagged Cartomancy, Divination, Divinatory esoteric and occult tarot, Gift, Minor, Psychic, Religion and Spirituality, Tarot. It seems like an odd thing to me, and I’m sure to many others, that some would claim that Wicca is dead or dying. But I have heard this from at least a few members of the Craft. Strange to think of Wicca, the fastest growing of the rapidly growing Neopagan religions, as being doomed to die in the near future. I have received different opinions for ‘why Wicca is dying’ and ‘what the fate of Wicca will be’. More than a few Wiccan elders who have expressed this sentiment to me are just simply disheartened by what they view as a lack of progress made in and for Wicca over the past few decades. These elders, I think, believed that there would be a great unity in the Craft and that Wicca and Neopaganism would make great social progress. Many of these Wiccan elders have also seen the rise and fall of covens and friendships between witches. And so if asked the fate of Wicca, they would respond that there would be no future for Wicca. Neopaganism in general will fail as a religious movement. I have heard from other Wiccans that Wicca is dying do to a lack of central authority. And this I have heard from Witches who are not members of any tradition! I’ve found that some of those I’ve heard this from have backgrounds in Catholicism, so perhaps they are used to the idea of the papacy as a central authority. But the whole reason why many come to the Craft is I>because of the lack of central authority. The Craft teaches self-reliance. I think some of my fellow Crafters have forgotten this. I have also heard that Wicca has become too public. ‘No one wants to stay in the broom closet anymore like a good witch should’. Oh My! I think those who hold this sentiment may still be holding on to past life feelings of persecution. But if this is an age of religious tolerance, and Judeo-Christian beliefs are no longer supposed to operate in the secular domain, then we have no reason to hide or fear being burned at the stake. Wicca needs to be open if we are to show the world that we are not dangerous. There are also those who see the rapid rise of solitary witchcraft and the collapse of covens as evidence of Wicca’s impending doom. I have never felt that it ‘takes a Witch to make a Witch’ but certainly there are some who could use a bit more experience before they declare themselves a Witch. I know there are plenty of solitaries who don’t really know the Craft as much as they should and that they may sometimes suffer from hubris, but it is the right of every Wiccan to explore the Craft personally and without a coven. I think covens are great, but for some people a coven just doesn’t work, and I feel there are some who use the coven structure to make themselves feel more important and powerful. We all know there is no place for tyrants in a coven structure. Now unlike the belief that Wicca will die and cease to exist, I have found those who believe Wicca is dying but that it will develop into a new religion, or religions. I somewhat share this sentiment, but I don’t think Wiccan witchcraft will just cease to be. And if Wicca is to become something else then it is not dying, it is evolving. All religious movements evolve. There are many who would point out that modern Wicca is ‘not the Wicca of sixty years ago’, and this is because of a natural evolution in the religion. I feel that part of the reason for this whole ‘Wicca is dead’ thing seems to be that Wicca and Neopaganism have failed in the last sixty years to supersede western society’s Judeo-Christian dominance. I know that there are many screaming at me after reading that last line. ‘The point of Wicca isn’t to supersede Christianity! All faiths lead to the same source!’ But I have not yet met the Crafter who didn’t hold some level of anti-Christian sentiment. I’ve found that much of the ‘Wicca has failed’ belief comes from those Wiccans who experienced the great social and spiritual revolutions of the late sixties and seventies. At the time it must have seemed like Neopaganism would become a powerful social force by the turn of the millennium. Its failure to become so has soured the movement for some. It may not seem like it for many, but Wicca’s ability to suddenly go from a few dozen followers to thousands (or millions) of followers in only half a century is an amazing achievement. It is a direct parallel of early Christianity’s rise from a few dozen believers in 30 C.E. to hundreds or thousands by 150 C.E. 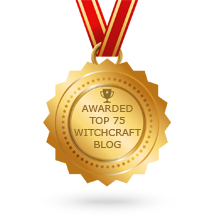 Wicca has perhaps grown twice as fast in half the time thanks to television, the Internet, and especially, modern printing and publishing. Most new religious movements do not rise out of the underground in their first hundred years. Is Wicca dead? Has Wicca failed in some way? No one ever said being a Witch is easy. Some of my elders may find me youthfully naïve, but in the six years that I have been in the Craft, I have found a vast, vibrant, though mostly underground, community that is ever growing and evolving to meet the needs of its followers. I can definitely say Wicca is very far from taking its last breaths. Posted on June 3, 2012 by ladyoftheabyssPosted in ArticlesTagged Christianity, Coven, Crafter, Judeo-Christian, Paganism, Religion and Spirituality, Wicca, Witchcraft. Three is a magickal number. It is the number of forms of the Goddess – Maiden, Mother, and Crone. Likewise, it is the form of the God as Father, Sage, and Son. It symbolises the Druidic elements of Land, Sea, and Sky. It is the number of times you chant a charm, the number of times you walk around a circle… and it is the basis for the three-fold law. Simply put, the threefold law speaks of karma. The energy you put out is the energy you get back, three times over. It is the basis for yet another popular Pagan tenet: “An ye harm none, do they will.” Putting forward negative energy will bring you nothing but negativity in return. Old folktales are full of this concept, although they may never state it directly. Whether the tale is from Western or Eastern Europe, whether it is written about magical creatures or just about lucky noblemen, the importance of both karma and the number three are readily apparent. In most fairy tales, people get what they deserve for their efforts. My favorite example of this is from The Girl in the Well. In this story, a girl drops her spindle down a well. Her stepmother forbids her to return home without the spindle, so the girl dives into the well. At the bottom of the well, the girl finds an alternate world. There she meets three groups of people, who each ask her a favor: a group of shepherds who need help cleaning their sheep, a group of cattle herders who need a similar favor, and a rich couple who ask her to work for them for one year. She aids each group, and is rewarded. When she returns home, her stepmother grows jealous and sends her own daughter into the well. However, the stepdaughter refuses to aid the shepherd and the cattle herders and when she gets to the elderly couple, she is so lazy that after three days they send her home. She bears no rewards, but arrives home covered in bugs and filth. The moral of this story is obvious: put forth good effort, and you will be rewarded; act lazy and mean, and you will be punished. The energy you put out is what you get back. In this tale, the number three is easily visible. The girl meets three groups of people seeking her aid, and is rewarded when she passes their tests. The stepsister fails all three – in fact, she is sent back home after three days. Another tale, The Three Feathers tells us of three princes who are in dispute over who should rule the kingdom. His siblings consider the youngest brother a simpleton. The king decides that he shall give them a quest to determine who shall inherit; he sends them out to see who can bring him the most beautiful rug in the land. To settle any dispute, he throws three feathers into the wind, so that each brother can follow one in the direction it went. One of the feathers goes straight up and down again, so the simpleton remains behind while his two brothers set off, one to the east and one to the west. However, he happens to notice a trap door beneath his feather, and follows it to find a court of toads. He asks the queen of these toads for the finest carpet she has, and it is delivered. Meanwhile, his brothers figure that he won’t be able to find a rug from anywhere, so they decide not to waste their money and each bring back a handkerchief. When they return, the king declares the simpleton to be the inheritor. The brothers protest, and manage to talk the king into two more challenges – for a beautiful ring, and for a beautiful woman. The feathers do the same thing, and both times the youngest brother wins the challenge in the same manner, and so is crowned king, with his beautiful bride (who was once a young toad maiden) . The two elder brothers put forth no effort in their quests, and thus received nothing. Meanwhile, the supposed “simpleton”, instead of trying to outwit his father, simply does as he is told, and through this wins the crown. This tale has three brothers, sent to find objects three times, who are guided by three feathers. Once again, the number three shapes the way the story turns out. Finally, the third example of this is in a strange little story call The Three Spinners. A girl refuses to spin flax, so her mother beats her. The queen is passing by and hears the girl’s cries. When she comes into the hut to investigate, the mother is so embarrassed by her daughter’s lack of spinning ability that she instead brags and claims the inverse – that she is beating the girl because she will not stop spinning, even though there woman can afford no more flax. The queen is impressed by this lie, and has the daughter brought to her castle to spin. She says if the girl can spin three roomfuls of flax, she will be able to marry the prince. Of course, the girl cannot spin. So she cries for three days. After this period, three old women appear who offer to spin the flax for her, if only they can attend the wedding and be treated as the girl’s aunts. They each have a different deformity: a large, flat foot. a massive hanging lip, and an oversized thumb. The girl agrees, and the rooms of flax are spun quickly. When the wedding comes around, the prince asks the old women how they got their deformities; they respond that they are through treading the pedal, licking the thread, and pinning it down with their thumb, respectively. The prince is alarmed and says that his beautiful bride shall never be allowed to spin again. And so the girl gets everything she wanted from life. The girl in this tale is by no means a paragon of goodness; she is rather lazy and disobedient. However, she made a promise to the three old women, kept it, and was rewarded almost three times as much as was worth such a favor. This story has three women – specifically crones, the third incarnation of the Goddess. There are three rooms of flax to be spun, and the girl cries for three days. Three three’s – a powerful number, which potentially aided the magic that helped her out of her predicament. The rule of three is written in many old fairy tales, if you just know where to look. In these stories, the rewards for basic kindnesses are often overdone; but then again, energy does tend to return threefold as much. These three stories are but a small example of the multitude of such tales that fill the body of European folklore. All throughout these tales, the number three is woven into stories of karma that have been told for generations. Posted on June 3, 2012 by ladyoftheabyssPosted in ArticlesTagged Fairy tale, Folklore, Girl, Literature, Rule of Three (Wicca), Tales, Three Spinners, Wiccan Rede. Witches are good. They were the great priests and priestesses of the “Old Religion” that everyone turned to in times of need. They were healers and seers, guides and advocates. It was only when the big bad Christians came and burned the Witches (nine million women, to be exact) that they were seen as bad, malevolent, evil things seeking to destroy all that was good and holy. Christianity maligned the good people of the earth, demonized the gods, and spread the hatred and fear of Witches that survives until this very day. The above sounds familiar, doesn’t it? It’s what many Pagan authors believe and would like their readers to believe. The only problem is, it’s not true. It’s rewritten history. Every bit of it. If we’re to grow beyond the haphazard anthropology of Margaret Murray, we have to accept that. Many Pagans do accept that (most Pagans by now, I would hope) ; but there is one part of it that seems to be ignored: that Witches are good, and in fact MUST be good. Historically, often the opposite is true. I’m not speaking of Celtic or even Norse tales; one can argue that since they were not written down until after Christians took over their respective regions that they may well have been changed to suit Christian morality. However, the Greeks had tales of witches that far pre-date the Christian take-over, and even these do not paint witches too kindly. Medea was a princess well skilled in magic. In the tale of Jason and the Golden Fleece, she plays a key role. Hera takes an interest in the success of the mission and asks Aphrodite to have her son Cupid strike Medea with love for Jason so that she would be willing to help him with her “dark knowledge.” Medea’s father was King Aetes, the keeper of the Golden Fleece. After being struck with love for the enemy of her father, Medea considers killing herself with one of her deadly potions rather than betray her father or her love. However, she decides to betray Aetes and help Jason, which sets the tone for future actions. She gives him a balm that makes him invincible for a day and tells him how to win the trial her father has set before him to win the Golden Fleece. After the trial is won, she learns that her father has no intention of honoring his bargain and handing over the Fleece. She tells Jason of this and he and the Argonauts steal the Fleece and take her with them as they flee. During the pursuit, Medea is responsible for allowing the Argonauts to escape by causing her brother’s death; either by asking him to rescue her and sending him into a trap or by cutting him into pieces herself and forcing her father to stop pursuit to gather the remains of his dismembered son. Upon arriving home, Jason finds that his father, the rightful king, was forced to suicide by the evil Pelias (the entire expedition for the Fleece was a bargain made between he and Jason, if Jason could bring the Fleece, Pelias would relinquish the kingdom back to its rightful ruler) . Jason needs to bring Pelias down and again turns to Medea. Pelias is an old man, so Medea approaches his daughters with a magical way to make the old young again. She cuts up an old ram in front of them, puts the pieces in a pot of boiling water, says a charm and out springs a lamb. That night, the daughters happily cut their own father to ribbons in their effort to make him young again. Jason becomes king. Medea bears Jason two children, but he does not marry her. Instead, he marries the princess of Corinth in order to gain that kingdom as well and forces her and her sons to leave his realms because she threatens harm to his new wife and he has seen what she can do. In exile, Medea sends a poisoned garment that kills Jason’s wife. Once Jason finds out, he threatens to sell his sons into slavery, so Medea kills them herself so that they would not be so tortured and shamed; then she escapes as Jason curses her. While some of her magic may have been for what she saw as good, she certainly did not live by the codes modernly associated with Witches. She was a Witch, but not a good Witch. Her early magic may not seem so bad, helping Jason to win the Fleece through the trial; but she had to betray her own family to even go that far and that was certainly seen as evil in those days. Circe was a “most beautiful and dangerous witch.” She turned every man she came upon into a beast, but with a human mind so that they remained conscious of their predicament. When Odysseus sent a scouting party out to check the island, she turned them into swine, save one who got away and ran back to tell his captain. Odysseus went alone to face Circe, having been given an herb by Hermes to prevent her magic from affecting him. That he was able to resist her magic sparked Circe’s romantic interest and she freed his men and told him what he must do next on his long journey home. In another tale, Glaucus sought a love potion from her to make the woman he desired love him. His story made Circe love him, but he was not interested. She decided it was the fault of the woman for which he longed. Circe turned this woman into a monster that destroyed all that tried to get close. Her name was Scylla; she became a monster that different sea-farers worried about in several tales. She was another Witch doing evil things, possibly in the name of love, possibly for her own selfish aims. I only hope Valiente gave Leland credit and did not just outright plagiarize him. This piece is clearly taken from Aradia, but the morality taught in that book (what I took as proof of Witches doing bad things was from the very same chapter as the “Charge” was “borrowed” from) was discarded and the Wiccan Rede placed in its stead. 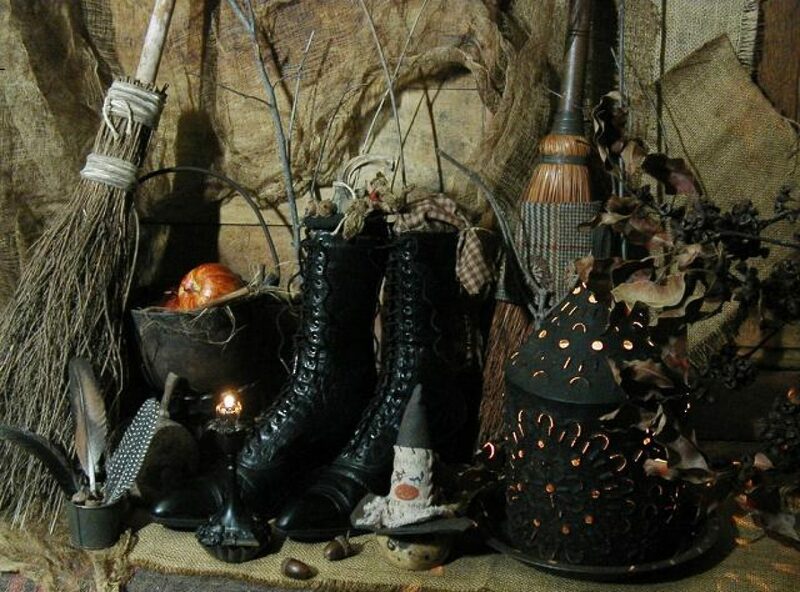 Since, by what most modern Witches would prefer to believe, all Witches follow the Rede, there are no bad Witches; and if you believe Wicca is the “Old Religion” of Europe, there never were bad Witches. I see the modern good interpretations of Witches to be like old B-rate horror day-for-night shots (outdoor scenes filmed in broad day-light with a filter over the lens trying to create the illusion of darkness and usually failing) ; they give the darkness lip-service but stay within the circle of their white-light lamp. Sometimes you have to step outside your comfort zone to get in touch with reality; you might not always like the reality you see, but at least it is real and not a fantasy. The Witch as always good is just as much a fantasy as the Witch that is always bad. Posted on June 3, 2012 by ladyoftheabyssPosted in ArticlesTagged Argonaut, Circe, Golden Fleece, Jason, Medea, Pelias, Wicca, Witchcraft. Sage has a proven history at boosting memory and balancing menopausal and PMS symptoms, but perhaps the most exciting benefit of sage essential oil is that it may actually protect genetic material from damage. According to a study published in the Journal of Agricultural and Food Chemistry scientists found that compounds in sage may protect cellular DNA from damage and may even stimulate DNA repair in already damaged cells. While the research is new and has not been tested on humans, this exciting advancement could help in the prevention and treatment of genetic diseases as well as diseases with a genetic component like cancer, heart disease and others. Turmeric is not just for curries anymore. New research by the United States Department of Agriculture (USDA) found the key ingredient in the spice turmeric, curcumin, enhances the activity of the cells’ energy centers to speed metabolism. Given overweight and obesity rates, which are at an all-time high, this new information offers assistance to the millions of people trying to lose weight. This information follows a lengthy list of other studies showing curcumin’s ability to prevent or delay cancer, prevent and even improve Alzheimer’s and Parkinson’s, heal heart disease, arthritis, and depression. Of course you can still enjoy turmeric (fresh or powdered) in curries, but don’t hold back with this spice. Add it to soups, stews, and salad dressings too. The USDA study found that supplementing with 300 to 500 mg of curcuminoids (the collective name for the active ingredients in turmeric) worked best for boosting metabolism. Posted on June 3, 2012 by ladyoftheabyssPosted in ArticlesTagged Curcumin, Curry, Health, Middle Eastern cuisine, Oregon State University, Parkinson's disease, Turmeric, United States Department of Agriculture. What’s that you say? Oh, it’s ‘National Repeat Day,’ a perfect time to repeat some sacred words that can bring blessings, health, and abundance into our lives! For the next nine days repeat (either silently or aloud) this affirmation three times upon awakening, three times at midday, and thrice before slipping into nightly slumber. Repetition is the name of the energy associated with this day, so let’s use that for all it’s worth. ‘My good is a perfect and permanent idea in Divine Mind, and must manifest for there is nothing to prevent.’ Do I have to say that again? Go ahead and repeat yourself today. You’ll be happy you did! Posted on June 3, 2012 by ladyoftheabyssPosted in Feng Shui TipTagged Color scheme, Earth, Energy, Feng shui, Interior design, Religion and Spirituality, Technology, United States.